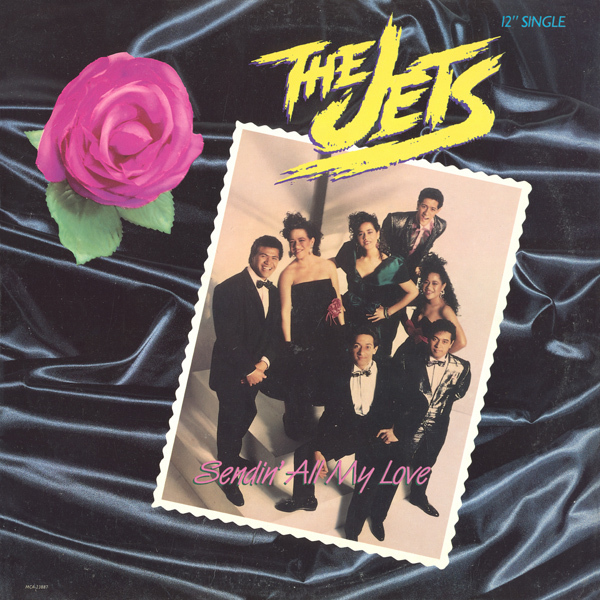 “Sendin’ All My Love” is the title of a song by the American dance-pop sibling group The Jets. It was written by Stephen Bray (who is perhaps best known for his frequent collaborations with Madonna during the 1980s) and Linda Mallah. Released as a single from The Jets’ multi-platinum album Magic, the song was not nearly as successful as some other recordings by the group on the Billboard Hot 100 chart, where it stalled at #88. Similarly, the song only reached #72 on the R&B chart; however, “Sendin’ All My Love” became The Jets’ first (and, to date, only) #1 song on the dance chart. The song spent one week at #1 on the chart in October 1988. The 12″ mixes were edited by Chep Nunez and remixed by Justin Strauss.